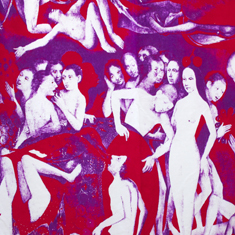 The Earthly Delights is an example of a commissioned pair of curtains. Designed, printed and hand made to size. Printed cotton velvet, made into panel curtains. Please contact the studio to discuss commissions.